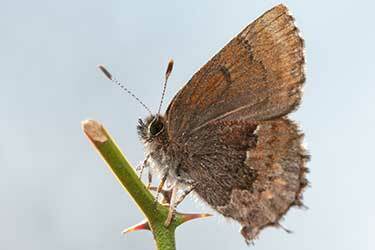 What causes the radical transformation from caterpillar to butterfly? How does a caterpillar rearrange itself into a butterfly? What happens inside a chrysalis or cocoon? Metamorphosis is a biological process by which an animal physically develops after birth or hatching, involving a conspicuous and relatively abrupt change in the animal's body structure through cel l growth and differentiation. In insects growth and metamorphosis are controlled by hormones synthesized by endocrine glands near the front of the body. Neurosecretory cells in an insect's brain secrete a hormone that activates glands, which secrete a second hormone to produce juvenile hormone, which prevents the development of adult characteristics during the shedding of the outer cuticle (skin). The egg stage lasts 6-14 days, but it can be considerabley longer for those species that pass th winter in this stage or for eggs laid in ealy spring when the temerperatures may remain cool for weeks..
Before hatching, when a caterpillar is still developing inside its egg, it grows an imaginal disc for each of the adult body parts it will need as a mature butterfly - discs for its eyes, wings, legs and so on. In some species, these imaginal discs remain dormant throughout the caterpillar's life; in other species, the discs begin to take the shape of adult body parts even before the caterpillar forms a chrysalis or cocoon. Some caterpillars walk around with tiny rudimentary wings tucked inside their bodies, though you would never know it by looking at them. The larval state is the growth phase with some butterflies increasing their mass by moe that 1,000 times as a caterpillar. To accomodate this growth, a caterpillar must molt, shedding its cuticle (skin). 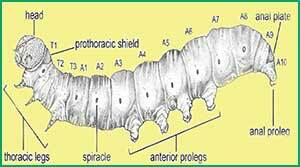 The larva between mols is called an instar. Thus the first instar ecloses from the egg, the last or ultimate instar fashions the cocoon or cell in which pupation will take place. Near the end of each stage, the larva undergoes a process called apolysis, mediated by the release of a series of hormones. During this phase, the cuticle, a tough outer layer made of a mixture of chitin and specialized proteins, is released from the softer epidermis beneath, and the epidermis begins to form a new cuticle. At the end of each instar, the larva moults, the old cuticle splits and the new cuticle expands, rapidly hardening and developing pigment. Butterflies spin the the button of silk to which the chrysalis will attach. 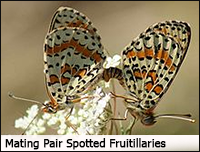 Most butterflies have 5-6 instars. The ppa,though sedentary, is a stage of great internal turmal and transformation. Nearly all of the larval tissues and organs (eyes, mouth parts, legs, glands, muscles) will be digested and reorganized into the doby of the adult butterfly. Prior to pupation, teh larva loses much of its patterning and its lenght decreases. In addition, the gut is evacuated. The naked pupa of butterflies is called a chrysalis. 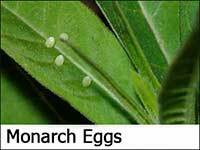 The pupa in most species last 7-14 days but in other it may last many months. Adults emerge from the pupa with short wings that must be expanded with hemolymph. 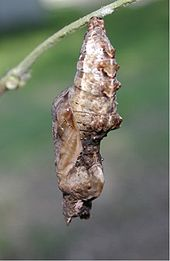 Newly emerged adults, especially those with large, heavy wings, must be able to hang from a twig or other object to successfully enlarge their wings. The transformation from a hardly recognizeable creature to a flight-ready adult is rapid, occurring in some cses over a span of only 20-60 minutes. It is one of nature's most captivating and awe-inspiing phenomonen. Aduts emerge from the pupa with short wings that must be expanded with hemolymh. Newly emerged adults, especially those with large, heavy wings, must be able to hang from a twig or other object to successfully enlarge their wings. The transformation from a hardly recognizable creature to a flight-ready adjut is rapid, occurring over a span of only 20-60 minutes. It is one of nature's most captivating and awe-nspiring phenomona. Sme species cycle through an entire generation in as few as 4-5 weeks with the Monarch butterfly being a familiar example.